Hollywood is a city that deserves a little time to explore and see the sights. 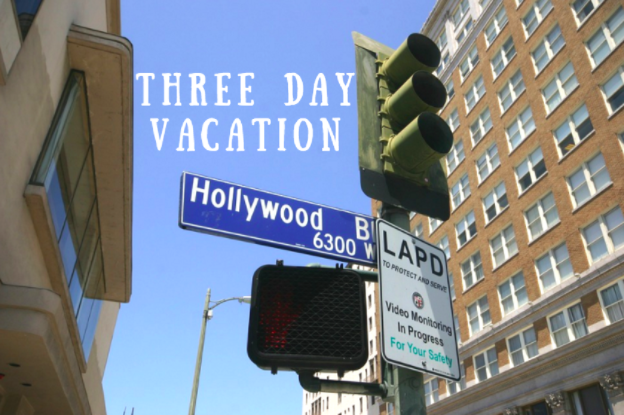 If you’ve got some time, use this 3 day guide to enjoy various must see places in Hollywood. Stay at sunset hotels in Los Angeles and start your 3 day adventure today! On the first day when you’re in Hollywood, you’ll want to first see the sights and sounds of Hollywood. Located in the heart of the city, Hollywood and Highland is an entertainment destination where you can easily spend a whole day exploring. Here, you can shop through a wide range of destinations where you can pick up some clothes, souvenirs or gifts. At this location, you’ll also enjoy a number of restaurants and entertainment options such as the TCL Chinese Theatre, the OHM Nightclub and more. During your off time, explore the famous walk of fame, located right on the grounds of Hollywood and Highland. On day 2, sleep in and have a slow morning as you recuperate from your late night where you were busting a move on the dance floor at OHM Nightclub or bowling a strike at Lucky Strike Live. Head to the pool of your hotel and soak up the California sun. Once you’re done relaxing, head over to The Viper Room, one of the most infamous music venues around. Artists such as Green Day, Kings of Leon, The Strokes, Queens of the Stone Age and many more have all played at the stage. Visit the website and see what upcoming shows are in store for you! On your last day in Hollywood, head to Griffith Park where you’ll be rewarded with some of the best sights of the city. At the top of Griffith Park you’ll find the Griffith Observatory, one of the city’s most popular tourist destinations. The observatory offers FREE admission as well as star parties that are open to the public where telescopes are brought out for guests to see the wonders of the sky. Its prime location makes it an excellent place to see views of the city. On a clear day, you can see all the way to the Pacific Ocean! Hike a nearby trail and enjoy close up views of the Hollywood Sign - a sight that no trip to Hollywood can do without.